Hi there, this is Mytravelswithyou… I love to run away from everyday life whenever possible to the discovery of the world… of course with my life companion! Portugal, un uncommon trip in Europe, to the discovery of its thousand traditions and wonderful places. I’m happy to tell you about this experience, very significant to me, in the hope of helping you to make your experience in Portugal just as beautiful. 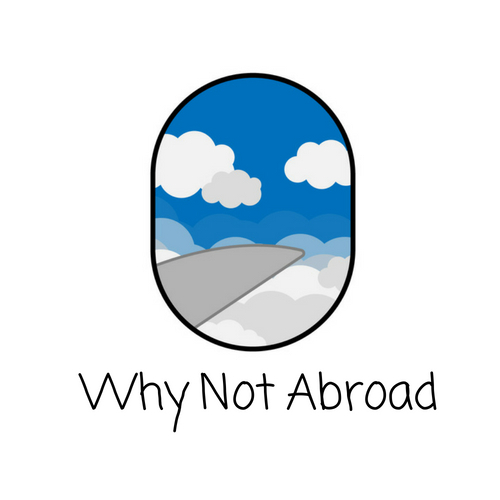 I don’t want to talk about the usual “guidebook places” but about what made us fall in love with this country and what made our trips unforgettable and part of our life. We were young, carefree and looking for an “alternative trip” – our first trip together–. It was a cloudy afternoon when we booked instinctively two tickets with destination –> Portugal. After this first trip, we go there every year, like a sort of tradition, and every year it’s a new discovery and a new adventure. I would have plenty to say but I will try to be brief and I hope to make you imagine what Portugal means to me. There would be thousands of things to tell about this magic city. Of course, the advice of your Lonely Planet shall be followed absolutely. I’m speaking about : visiting the wonderful Praça do Comércio, Santa Justa lift, Castelo de Sao Jorge, Sé, Carmo convent, Bélem tower, Jerónimos Monastery, Padrão dos Descobrimentos, go shopping in Rua Augusta, eating at the Time Out Market, listening to Fado (typical melancholy music), making a tour on the Tram No. 28, climbing on the streets of Bairro Alto and Alfama and eating in one of their many typical restaurants, seeing azulejos (Portuguese typical tie) everywhere, make a one-day-tour of the fairy-tale Sintra etc. etc. But I would like to try to make you feel the emotions, places, and events that I’ve experienced there. I totally recommend the period around June 13th, the day of St. Anthony, patron of the city. I think it is the best period to live Lisbon like a real Portuguese. The festive atmosphere is breathable everywhere several days before, especially in the neighborhoods of Alfama and Bairro Alto. When the sun starts to go down the smell of the grilled sardines rises. If you love village parties, being amongst people, enjoy typical food and drink a Sangria or a Sagres (typical beer), this place can only fill your heart with joy, like it was for us. You absolutely have to try the grilled sardines which are cooked that night in every corner of the city by the restaurants but also by the Portuguese families. The culmination of the party is the night of June 12th, when the whole Lisbon goes outside on the streets to party all night long. The tradition includes that on June 13th, dozens of marriages are celebrated in the Sé (Lisbon cathedral) for people who can not afford the ceremony costs. Another lovely tradition during the feast of St. Anthony is that men offer a basil plant to their beloved ones to demonstrate their love. Each basil pant has a paper flower with a love message. One of the most beautiful things to do when in Lisbon is getting lost…… No, I’m not joking… there are so many beautiful things that you will discover only walking with no destination and this is what I prefer to do when I’m traveling. Oh, and a second recommendation is to wait for the sunset in one of the many “Miradouro” (the place from where you can have a pleasant view) throughout the city. My favorite is Miradouro de Santa Caterina. There are many street artists and you can enjoy the show sitting on the sidewalk, drinking a beer and waiting the sun disappearing on the horizon. The atmosphere is amazing! Sardinas assadas (grilled sardines) of course. They are normally served with a tasty salad (onions, potatoes, and green peppers). But try also bacalhau and the sweet Pasteis de Nata. The best ones in Lisbon are served at “Pastéis de Belém” which is next to the Monastero dos Jerónimos. You will never forget them! Obidos is a charming town located approx. 1 hour from Lisbon. The white houses with colored (yellow and blue) edges make Obidos very characteristic and special. You can go for a walk on the main street full of little and nice shops and on the Castle fortified walls. Please also have a look at the Obidos city gate, it’s full of azulejos and if you are lucky, you will see the show of an accordionist: it will be a magic moment!!! When I speak with friends about the Berlengas Islands, I describe them as “Never Land”…. only Peter Pan and the lost boys are missing! If you rent a car (very cheap in Lisbon) and book the ferryboat from Peniche you can be in this breathtaking Island in just 2 hours. The main attraction of the Island is the Fort of São Joao Baptista reachable by stone stairs and a little stone bridge on the Ocean but you will also love the colors and nature. Be prepared to take a photo with a seagull! They are literally everywhere! If you love adventures and rock climbing you can reach in 45 minutes by car from Lisbon a fantastic beach, called Praia da Ursa. Yes, I said “rock climbing” because this is what you have to do to reach the beach after you have parked your car. But don’t worry, the beauty of this beach rewards all the troubles!!! And please, wait until sunset hours and go to Cabo da Roca which is just 5 minutes from Praia da Ursa. Cabo da Roca is the westernmost point in continental Europe and being there at sunset is magical. This was our first destination in Portugal and our first love! We stayed in Albufeira, a very vibrant city of Algarve (the southernmost region of Portugal). From here, with our little rented Fiat 500, we visited all the region. Algarve is famous for its fantastic beaches. It is a wonderful gold sand beach. What is special about this beach is a particular rock formation shaped like an elephant. The Benagil beach is not particularly beautiful but from here you can take a boat ride to see different caves. The most beautiful is the one just next to Benagil beach which is called Bengagil cave. It has a big hole which let the sunlight in! A real spectacle in nature!!! This cape is the southwesternmost point in Portugal. The cliffs are very high, you feel like a little point at the end of the earth. It is magical to be here at sunset, watching the sun disappearing into the ocean. The first time in Porto, I was a little bit skeptical… for sure I was curious to visit this city but I had the idea it was not characterized as the rest of Portugal! In the end, I was so happy to have changed my mind. Also, Porto had something very special! What fascinated me more are the colors of Oporto, from the houses on the river bank to the azulejos which cover most of the churches and houses around the city and to the colors of the sunset which create a magical atmosphere on the city. Oporto is connected with the famous wineries of Villa Nova de Gaia via the attractive Dom Luis I bridge. We visited it by walking and we were lucky enough to see local people challenge each other in a diving contest in the Douro river directly from the borders of the bridge. So funny! Walking down the streets of the city, you constantly come across the famous Portuguese tiles “azulejos”. The places which caught my attention the most are for sure the Chapel of Souls and the Church of Saint Ildefonso, little but wonderful churches completely covered by blue&white azulejos. And how I can not talk about the São Bento station? It’s like entering in a movie set from another time. Another nice thing to visit while in Porto is Livraria Lello, a very unusual library characterized by a very charming wood spiral staircase. People say that this library has inspired J. K. Rowling in the writing of her famous Harry Potter. After having visited it, I can say it can be true for sure. Be prepared to wait in line to get into the library and to fight to pass from one book to another. Despite this, one visit there is recommended. Francesinha (typical and heavy sandwich), Alheira (sausage made with meat other than pork and a lot of garlic), Chorizo or Chouriço (smoked pork sausage). Vinho do Porto (Porto wine). It is sweet but very delicious. The best way to drink a good Porto is to go in one of the different producers located in Vila Nova de Gaia, the town in front of Oporto. We had a fantastic happy hour in Vila Nova de Gaia at Espaço Porto Cruz where we have waited for sunset in a big terrace on the roof, facing the Douro river, seeing the first city lights of Porto turn on, drinking a fantastic bottle of Porto wine. I recommend this to everyone!!! Costa Nova Do Prado is a little fishing village where you will enjoy getting lost in the discovery of its colorful striped little houses. It is just one hour’s drive from Oporto. The church by the ocean is really suggestive. At high tide, waves get to the Church creating a surrealistic atmosphere while when the tide is low you can reach the church with a walk on the beach.